I could do with a cave right about now. Some where cool and dark, not too humid, not too dry. Somewhere I can hide from the oppressive and malign rays of the Day Star. A place where I can pass the worst of high summer in something approaching comfort. By now you will all be well aware that I talk a lot about the weather and that I cannot abide the heat. But it reached a new level the other week as I sweated through my shirt and my trousers until I was unpleasantly damp in all the wrong places. I yearn for winds both sharp and cold; for air crisp and clear; for the ability to wear one of my many nice coats or many good jumpers. On the upside we’ve had some cracking thunderstorms. Which is nice. Now on to the fiction. With my standard meteorological preamble out of the way we can get down to business. This month’s image was an ominous looking cave from the artist Michał Karcz. This month proved to be a first. I the nearly 3 years I’ve been sailing the Pictonaut seas I don’t think I have ever done so alone. Which is a little bit sad. But I suppose people have things to be getting on with in their own lives and thus don’t have time to humour the mad hermit that I am. My wordascope for this month is a bit more experimental than my usual stuff. The entire story is a metaphor and occurs in the second person. I don’t think it’s entirely awful, however I do think that I have failed to do complete justice to do the grand idea with which I began. But such is life. Remember to check back tomorrow for the start of August’s Pictonaut Challenge. 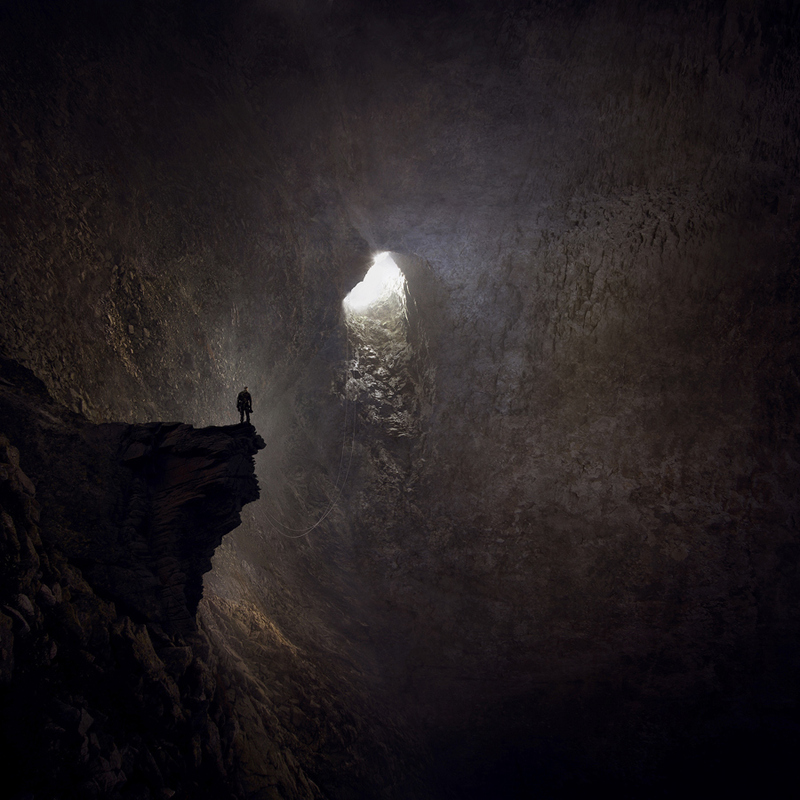 This entry was posted on Thursday, July 31st, 2014 at 12:48 pm	and tagged with Caves, Depression, July, Michał Karcz, Pictonaut Challenge, Pictonauts, Short stories, Summer, The Way Out, Writing and posted in Pictonauts, Writing. You can follow any responses to this entry through the RSS 2.0 feed.